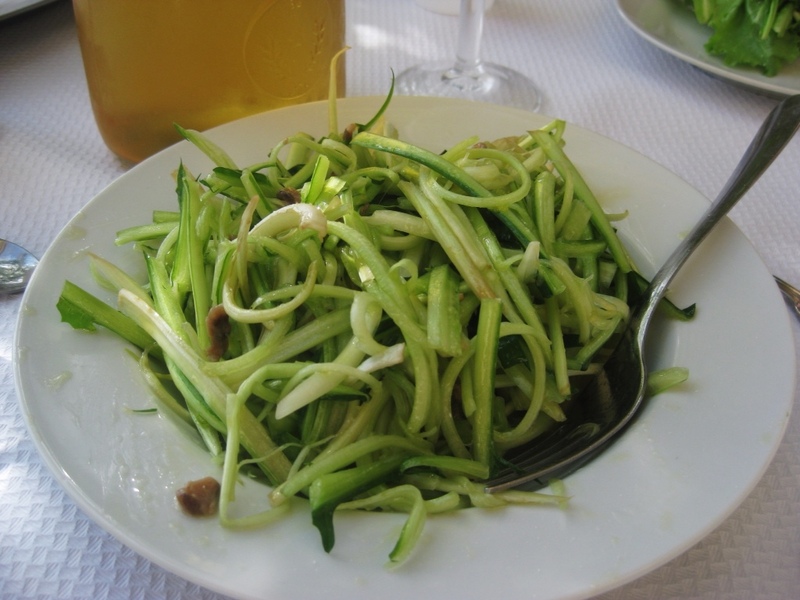 Lazio is home to Rome and is known for thick pasta and unusual cuts of meat. Roman cuisine draws heavily from what the urban poor ate, which was typically the leftover cuts of meat deemed unsavory by the wealthy. 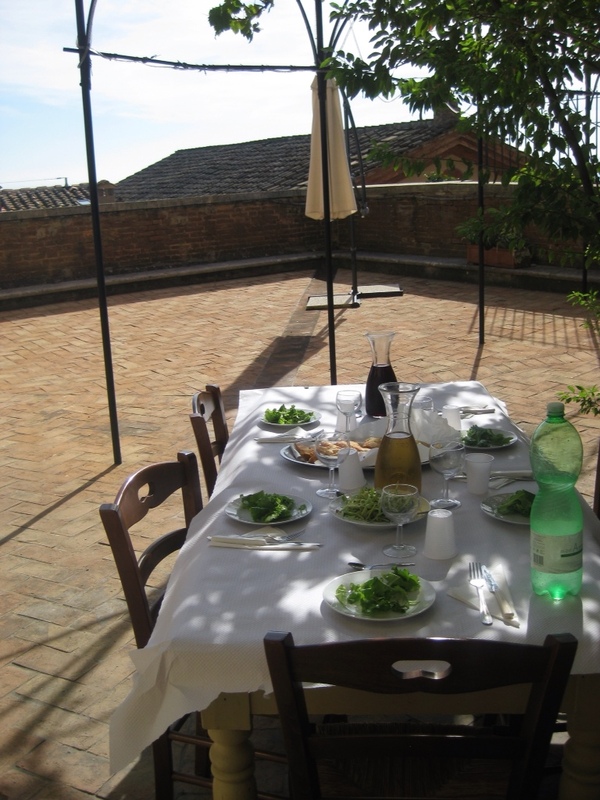 We didn't get too adventurous in our ingredients for the day, but we did cook in a style typically associated with Rome. 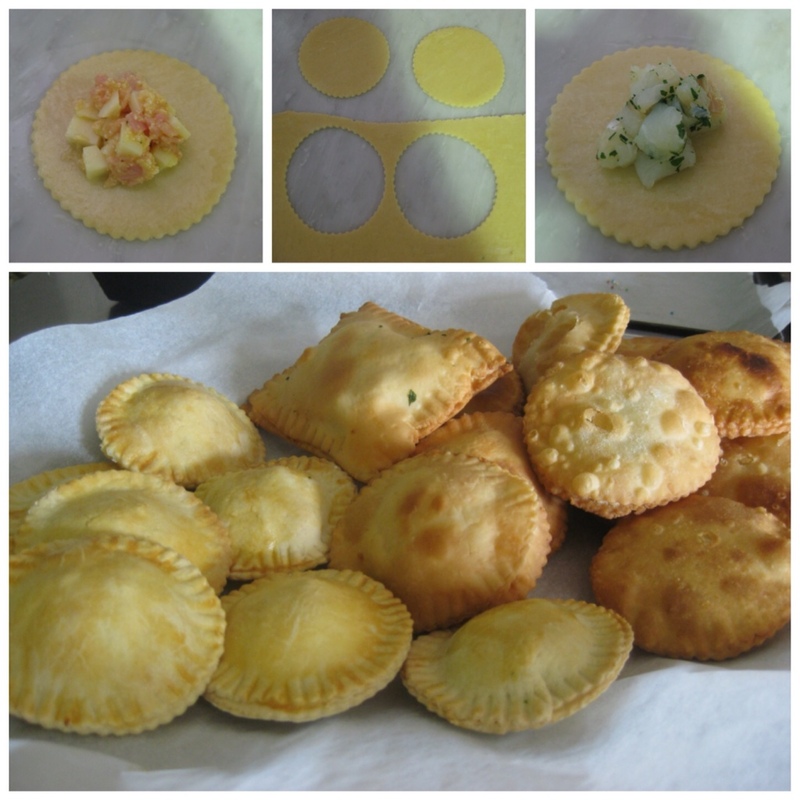 We started with an antipasto of panzerotti alla romana which are baked or fried ravioli-style tarts filled with provolone, ham, eggs, and parmesan. We also had some leftover baccala from yesterday so we filled some of them with a fish and parsley mixture. The dough for the panzerotti is a cross between pasta and bread dough and we baked the “healthy” half and fried the other half to try both styles. The dish was certainly tasty but was a very heavy way to start the meal. 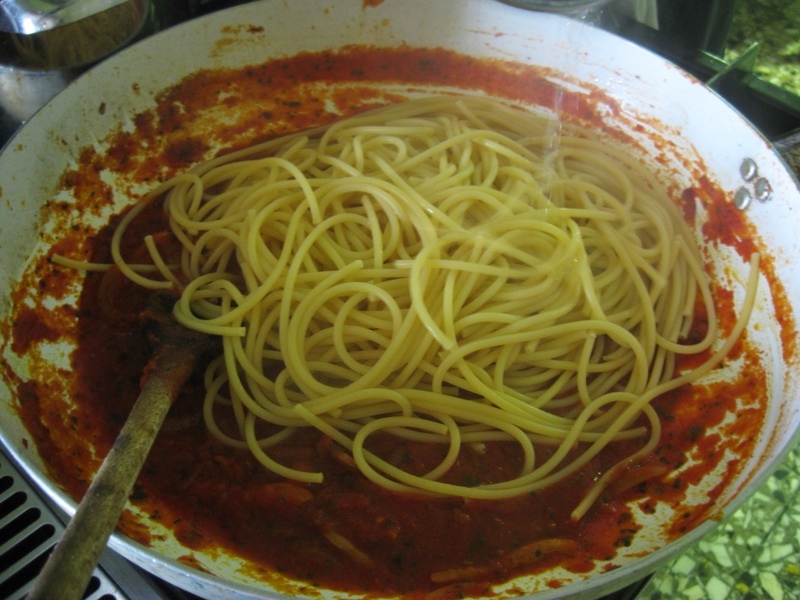 Our primo piatto was bucatini all'amarticiana, which is a tomato sauce made with sautéed pancetta and onions. 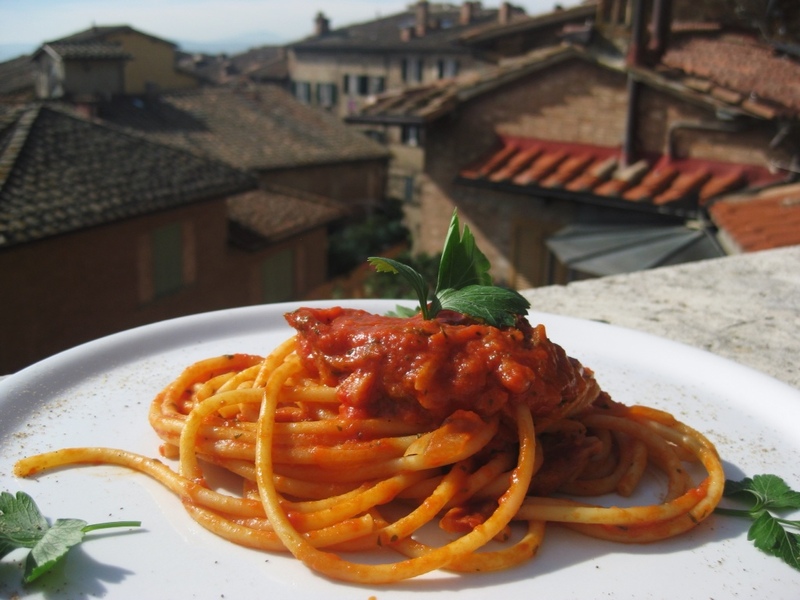 Bucatini is a thick noodle with a hole in the center that is particularly popular in Lazio. This dish was the closest to some of the American-Italian food that is typical in the US and it was interesting to see how quick and simple it is to make. 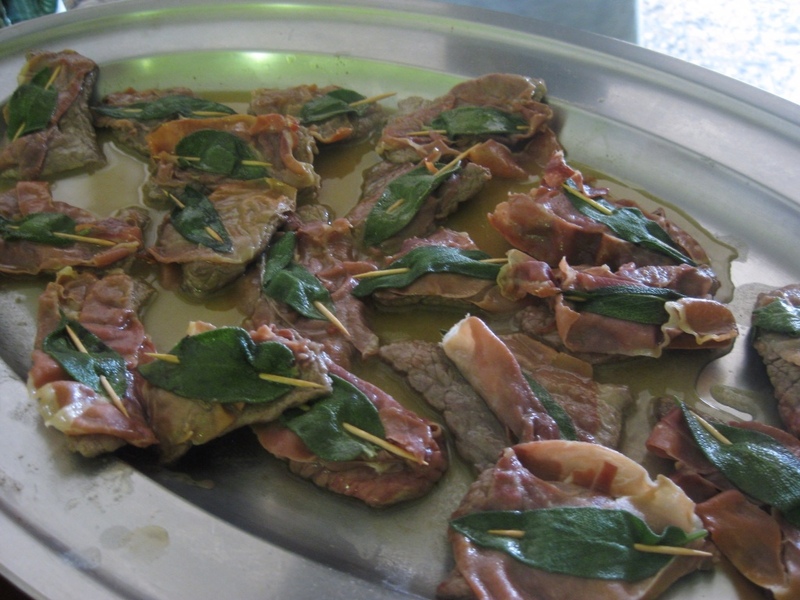 We accompanied the meat with a contorno of chicoria, or boiled and sautéed chicory which was still a bit bitter when served. 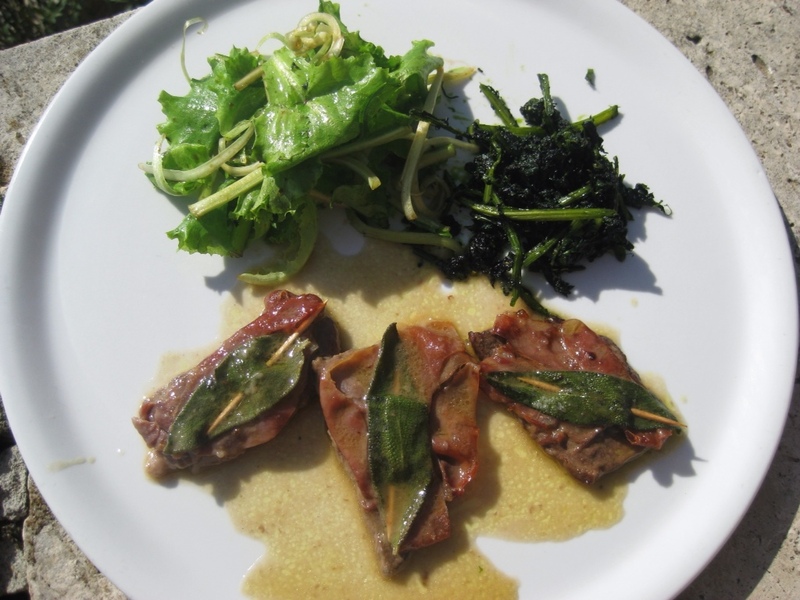 Interestingly, the stems of the chicory, called puntarelli, are less bitter than the leaves and make a lovely salad when julienned, soaked in ice water, and then lightly dressed in an anchovy vinaigrette. 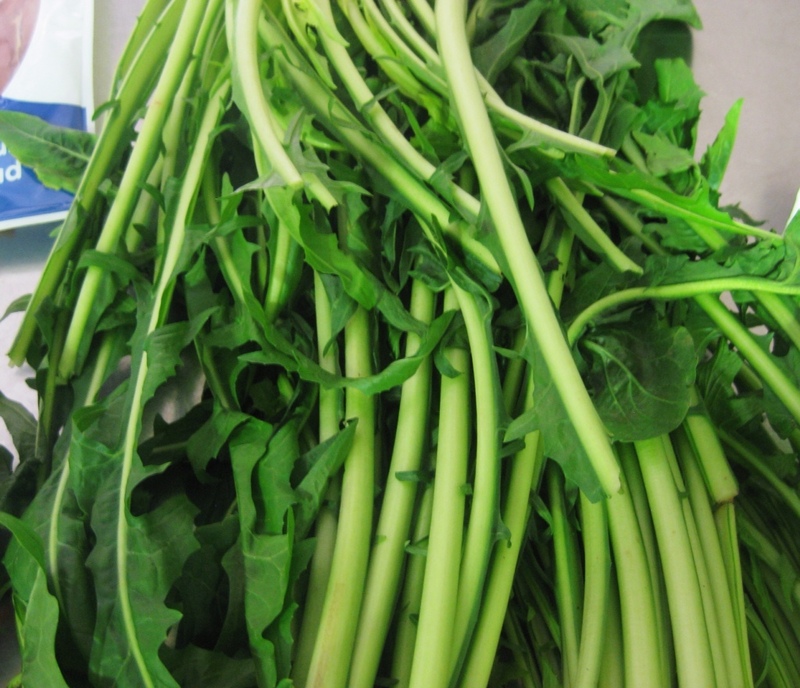 You really have to be familiar with the vegetable to know how to make the most of each part of the plant – it makes me wonder how much I'm missing with the veggies I find in the farmers' market at home. 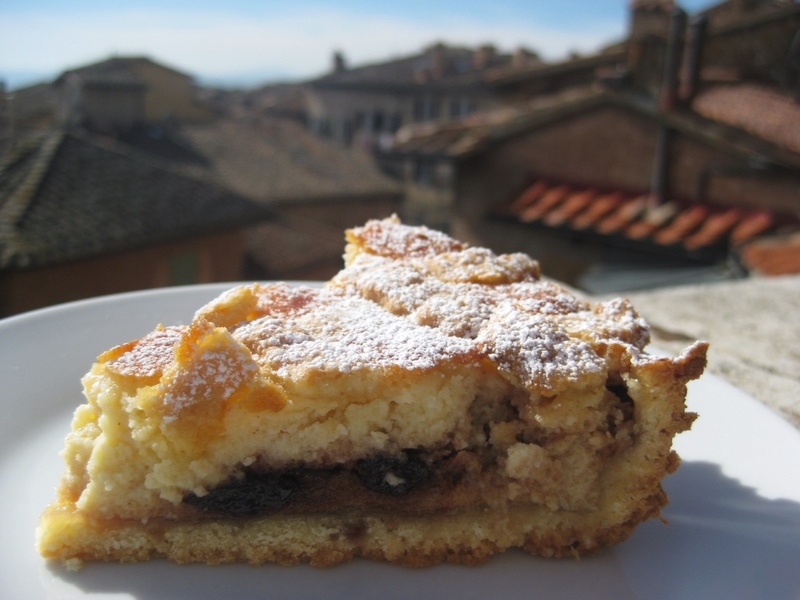 Dolce was a torto di ricotta e amarene, made with bitter black cherries preserved like a jam. We made a dough with the same ingredients you use for sugar cookies (and we used the extra to make those as well!) 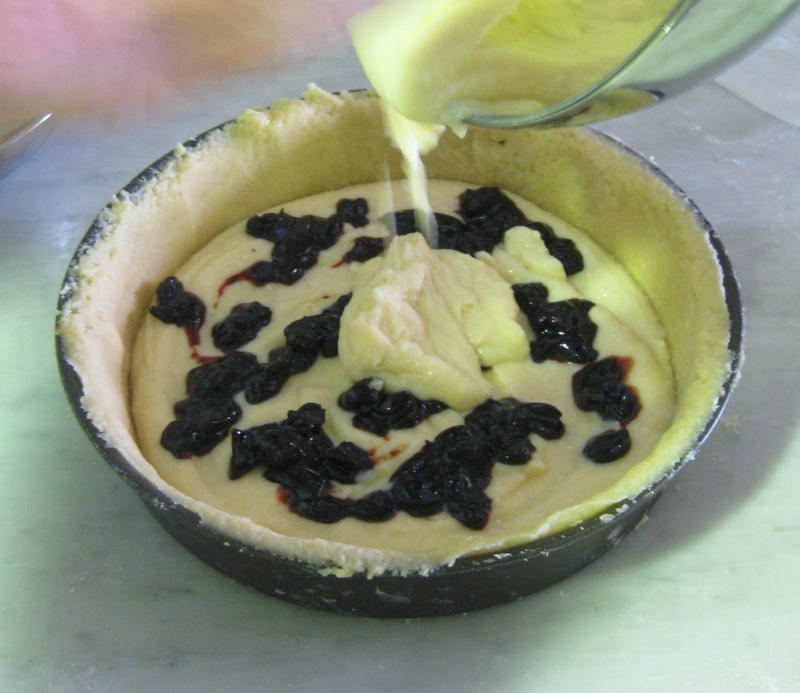 and then filled the center with sweetened ricotta and the cherries. 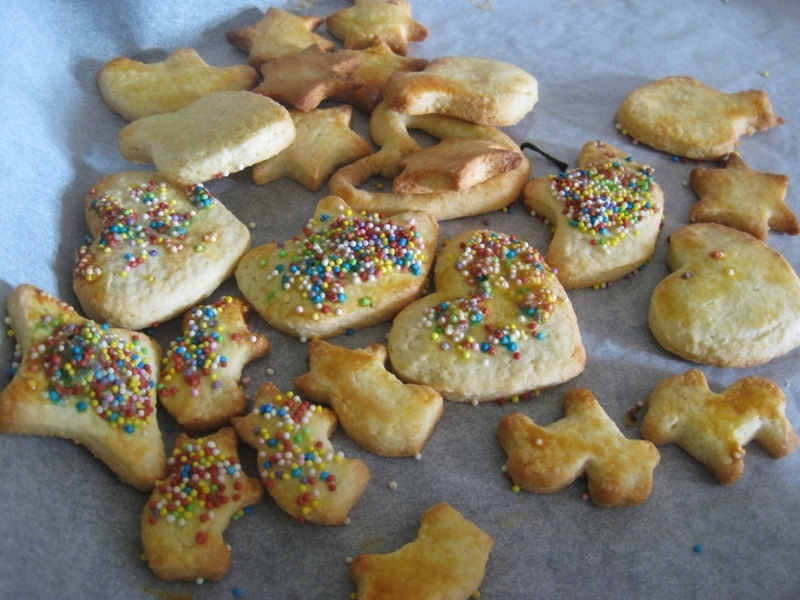 The dessert was an interesting mix of sweet and bitter, but I have to admit that I thought the plain old sugar cookies were the best. They also made an excellent snack on my train ride up to Venice for the weekend. 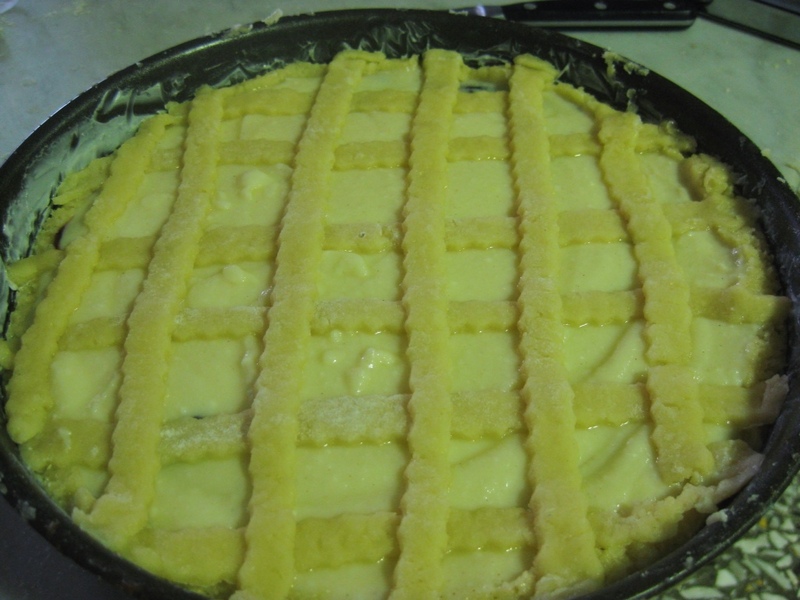 Making a lattice pie crust - my first one! This entry was posted in Classes, Italy, Siena and tagged Italian. Bookmark the permalink.